Paul Simon inspires me. He is an artist, musician and poet — one of my favorites. His ground-breaking career has spanned decades and continents. I have wanted to create a routine with his music for years, and when I realized that 2012 is the 25th anniversary of his genius Graceland album, I decided now was the time. And so, Miracle and Wonder was born (at the right time!). With the foundation of Simon’s poetry and diversity, I found that movements of the ankles and wrists naturally emerged. Four oft-neglected and often-vulnerable joints, the ankles and wrists offer so much to play with in terms of strength, flexibility, mobility, agility and stability. The very nature and placement of these joints at the extremity of the body lend themselves to expressiveness and movement variety. 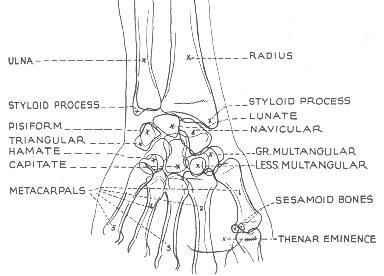 The wrist joints are actually made up of many joints. Irregular bones connect in gliding synovial joints and condyloid joints (where two bones fit together with an odd shape; one bone is concave, the other convex) that allow for a range of movement from rotation, extension, flexion and more. Functionally, this makes sense, of course. The joint that connects the reach of the arm to the fine motor skills of the hand needs to offer lots of movement options. The bummer for wrists these days, though, especially with long hours of computer use and smart phone texting, is that we tend to hold our wrists in one position (usually flexion) for extended periods of time and do repetitive movements with our hands and fingers. Using the hands and wrists in this way limits their flexibility and strength. What’s more, it’s common for tension to accumulate above and below the joint in the forearms and hands. (The research is not clear if extended computer/phone use contribute to carpal tunnel syndrome when the median nerve gets squeezed by the wrist, but I would contend that any time we limit the use of a joint, it will be less healthy.) Right now, circle your wrists and notice if you feel any tightness or soreness in them. Ankles are similar joints to the wrists with the obvious functional difference that we stand and walk on them! Like the wrists, the ankles connect the long lower leg bones with the complex bones of the feet with a series of irregular synovial joints. The irregular bones and small joints make it possible for us to walk on soft-unstable surfaces (like sand and grass) or hard-uneven surfaces (like cobblestones) without falling. Simultaneously, however, the strong muscles and connective tissue in the ankle joints give our bodies the support we need to run, hop, and dance with stability and grace. Again, similarly to the wrists, we tend to hold our feet in one position (flexion) most of the time which limits the ankle mobility and flexibility. And in our modern culture, we tend to walk almost exclusively on hard, flat surfaces which weaken the ankle’s stabilizing muscles. Before practicing Nia, my ankles turned all the time. I didn’t have to be doing anything tricky, just stepping out of the shower or walking across the street and – oops! – my ankle would turn. One of the benefits of my Nia practice has been the marked increase in my ankles’ strength and stability (although they still turn now and again). Nia can also help with the opposite issue: if you tend to be highly stable in your ankles, it’s likely that they are not terribly flexible. If this is the case, Nia’s varied movements can improve the flexibility and health of your ankles. Right now, flex, point and circle your feet. Notice your range of motion and any places of tightness. Check out the ankle flexibility by getting on all fours, hips over knees, and release the top of your foot to the ground. 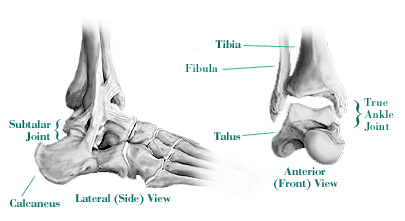 Does the front of your ankle joint yawn open onto the floor, or does it stay partially flexed? Every Nia routine has a focus (that is, WHAT we do) and an intent (the RESULT we want to create, or what we want to happen). Miracle and Wonder focuses on wrist and ankle movement with the intent of opening the heart. While it may seem like a non-sequitur, I’ll explain more next week about the connection between the ankle/wrist focus and the heart-opening intent in this routine. Until then, keep moving your wrists and ankles — and come dance with me this week!